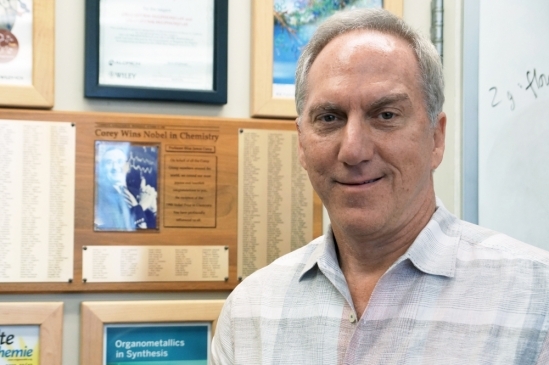 The Department congratulates Prof. Bruce Lipshutz for winning the 2018 Peter J. Dunn Award for Green Chemistry and Engineering Impact. Prof Lipshutz won this award for his innovative work in the development of newly engineered catalysts for sustainable chemistry in water. This award is presented by the ACS Green Chemistry Institute's Pharmaceutical Roundtable. The Peter J. Dunn award "recognizes outstanding industrial implementation of novel green chemistry and/or engineering in the pharmaceutical industry that demonstrates compelling environmental safety, cost and/or efficiency improvements over current technologies." Prof. Lipshutz will be presented with the award at a symposium in his honor at the Annual Green Chemistry Conference to be held June 18-20, 2018 in Portland, OR.